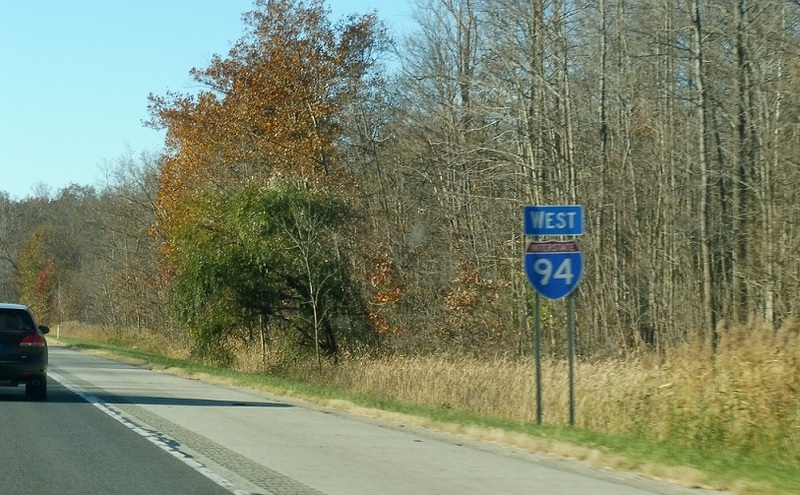 Reassurance shield as I-94 enters the Hoosier State. 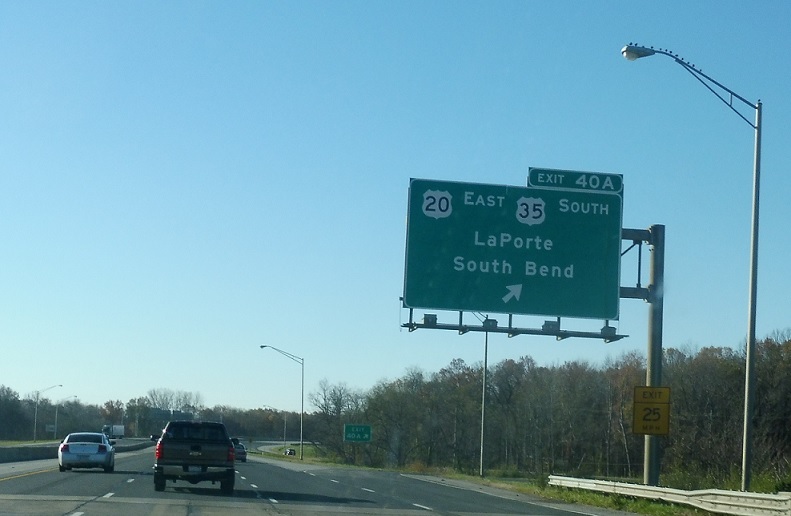 Reassurance shield after the Indiana Welcome Center exit. A couple miles later, we’ll approach US-20, which connects to US-35. 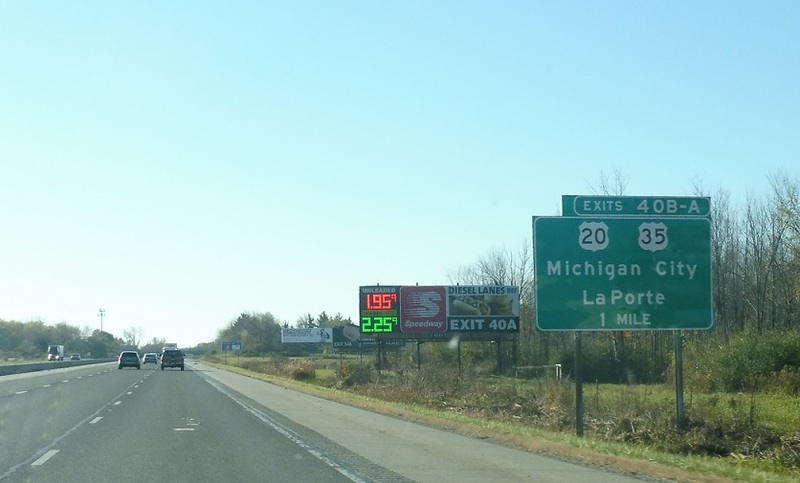 US-20 west heads to Michigan City, while US-35 south heads to LaPorte. 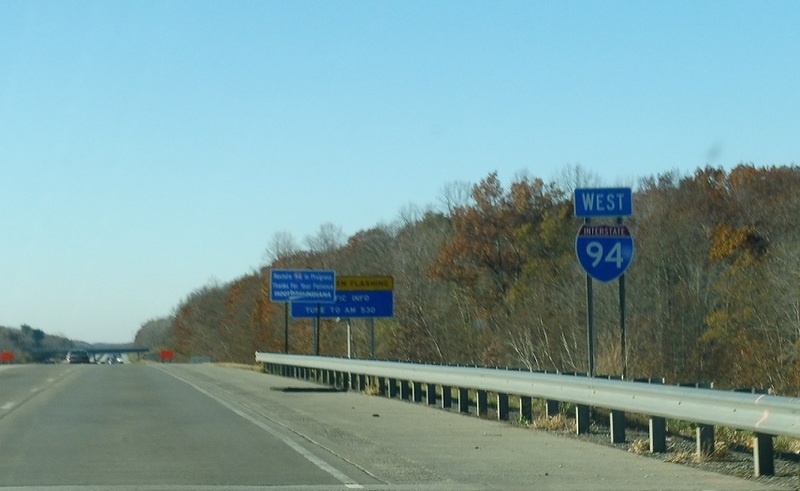 Exit ahead for US-20 west and US-35 south (but also US-20 east). 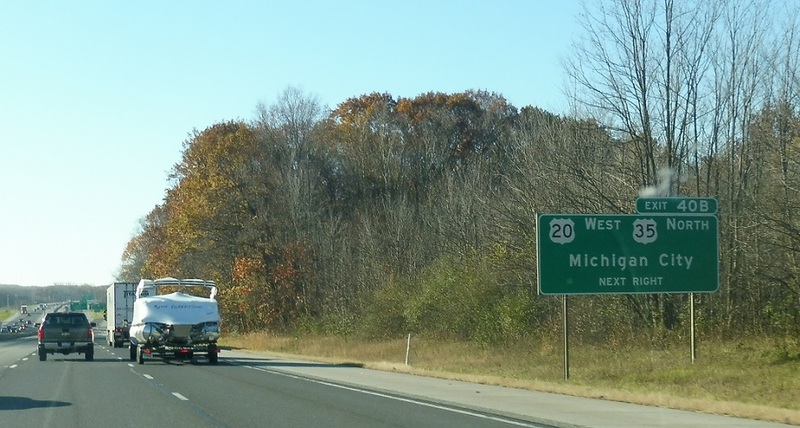 Exit for US-20 west into Michigan City. 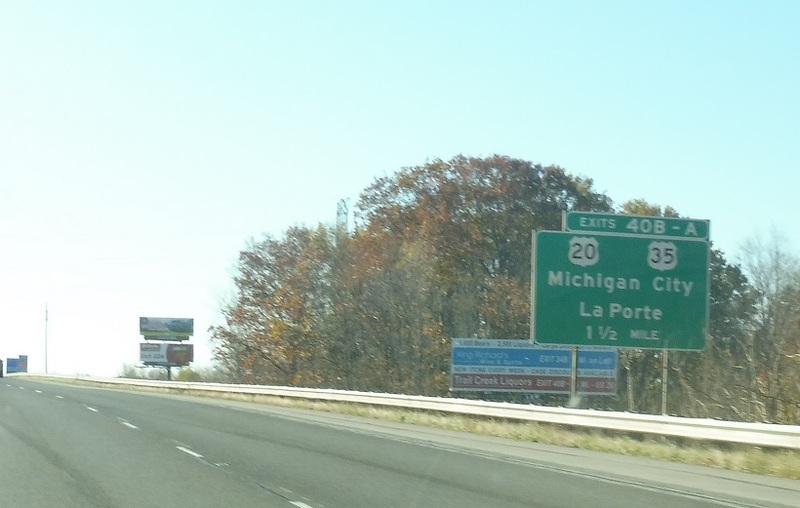 US-35 north once extended into Michigan City, but now ends just east of here on US-20, so this sign is outdated. 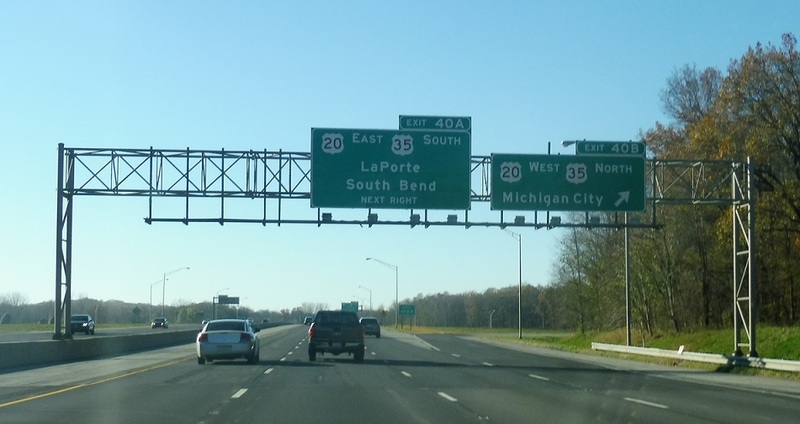 Exit for US-20 east, which very quickly connects to US-35.